Give your guests a personalised gift that they can keep for ever. 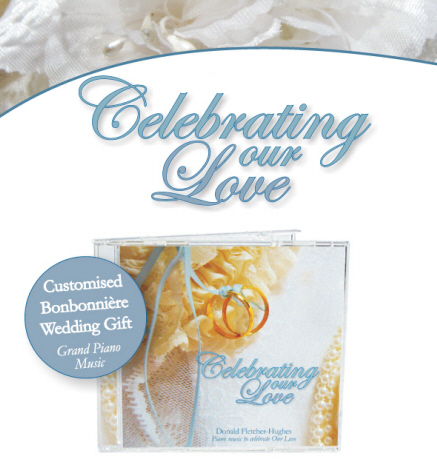 Customise the song list and colour theme to reflect you and your wedding. With their names personally printed on the inside, this unique bonbonnière will be a keepsake from your special day for you and your friends and family. Click here to view our full brochure, colour schemes and song selection. We have a range of customisation and price packages. Please contact us for details.